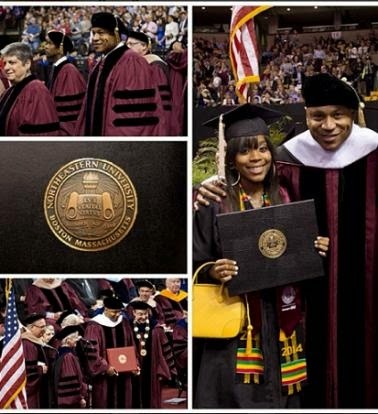 Dailybuzz.ch: LL Cool J & Daughter Receive Degrees From Northeastern University! 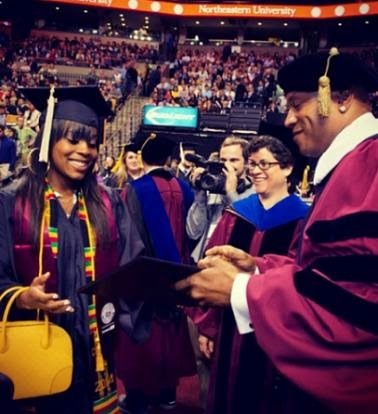 LL Cool J & Daughter Receive Degrees From Northeastern University! LL Cool J celebrated the graduation of his daughter, Italia Smith, from Northeastern University. But what made the occasion even more enjoyable was that the rapper was presented with an honorary Doctor of Arts degree by the university. But what really made today special for the “NCIS Los Angeles” actor was seeing Italia graduate with honors and being able to present her with her diploma. “It made me feel real proud because I know she put a lot of hard work in, a lot of dedication, a lot of commitment and a lot of hours,” the proud dad confessed. “It was emotional, it was exciting, I’m just happy to reach a new milestone,” Italia added. It’s sweet that LL was allowed to participate in Italia’s big day!